RBSE releases merit list for board toppersRajasthan Board of Secondary Education on Friday released the merit list of students who topped in the board examinations of 2017 as convocation of board will be on 24 May.TNN | Updated: May 19, 2018, 13:13 IST Representative imageAJMER: Rajasthan Board of Secondary Education on Friday released the merit list of students who topped in the board examinations of 2017 as convocation of board will be on 24 May. Board had discontinued announcing merit list along with the result from last year. 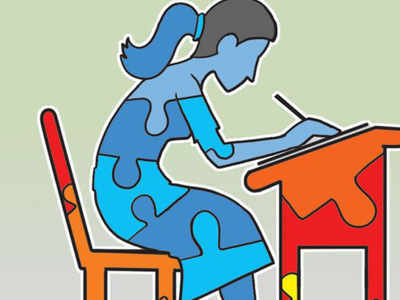 Deputy director of the board Rajender Gupta said that in secondary examination Archana Meena of Sawai Madhopur, Rajeev Singh Naruka of Gangapur city of Sawai Madhopur in senior secondary science stream, Angelina Nagpal of Bundi in senior secondary humanities and Krti Verma from Barkat Nagar Jaipur will get gold medals in convocation. In Varishta Upadhyaya exam, Lalit Patidar from Banswara and Jyoti Prajapat of Sawai Madhopur in Pravishika exam and Ashvin Gupta of Jhalawar will get gold in secondary occupational exam. Board has also released the list of students getting silver and bronze medals on the day of convocation. My husband suffered severe injuries in a horr ific accident. 10 people mo st affected by Modi's Anti Corruption Crackdown. Quicken Loans Alleviates The Burden Of Refinancing To A 15..
11 Cancer Symptoms You Should Not Ignore â" Stay Fit, Sta..
Will Yeddyurappa be able to co mplete his tenure?